My post today does double-duty. 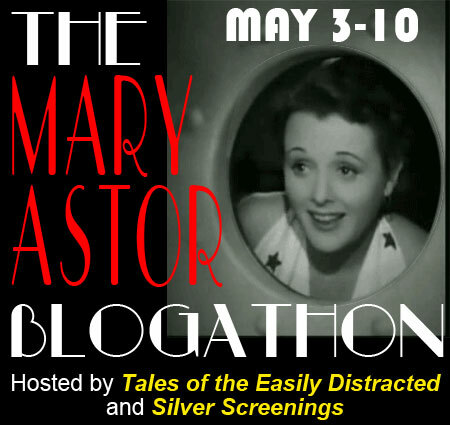 I'm taking part in the Mary Astor Blogathon hosted by Dorian at Tales of the Easily Distracted and Silver Screenings, running through May 3rd and May 10th, 2013 - as well as fulfilling my Tuesday's Overlooked (or Forgotten) Film commitment at Todd's Sweet Freedom blog. How's that for multi-tasking? DODSWORTH (1936) is a film directed by William Wyler (Oscar nominated), adapted for the screen by Sidney Howard and starring Walter Huston (in an Oscar nominated role), Ruth Chatterton and Mary Astor, co-starring Paul Lukas and David Niven. It is the engrossing story of the 'happy' marriage of Sam and Fran Dodsworth and maybe in an odd way, it's also a cautionary tale against retirement. I loved the book by Sinclair Lewis (if you like, you can read my book review here), but I adore the movie so pardon me if I gush. The film is actually a pretty true interpretation of Lewis's novel, so whichever you do first, you won't be disappointed. This is that rare combo of film and book working fabulously alone or together. 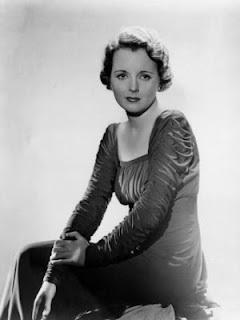 The gorgeous Mary Astor as she looked in the 1930's. 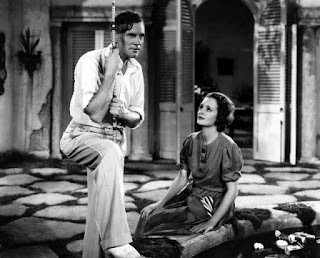 Since this is a Mary Astor Blogathon post, I'll begin by saying that Mary Astor never looked better than she does in this movie. She is absolutely spectacular. 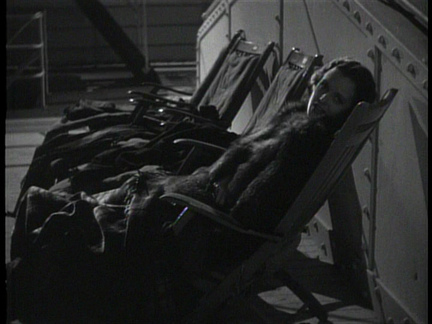 From the first moment she shows up on camera wrapped in a dark fur, Astor puts the film's star, Ruth Chatterton, in the shade. In this instance, it's the wife who fancies herself an eternally young deb and 'the other woman' who represents a more classic elegance. Astor is all calm, cool and collected sophistication. She plays Edith Cortright, a divorced ex-pat living by herself (with a servant or two and a wonderful and very large dog) in a small, sunny Italian seaside villa. 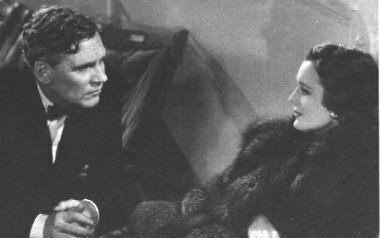 Sam Dodsworth (Walter Huston) and Mrs. Cortright (Mary Astor) chatting aboard ship. 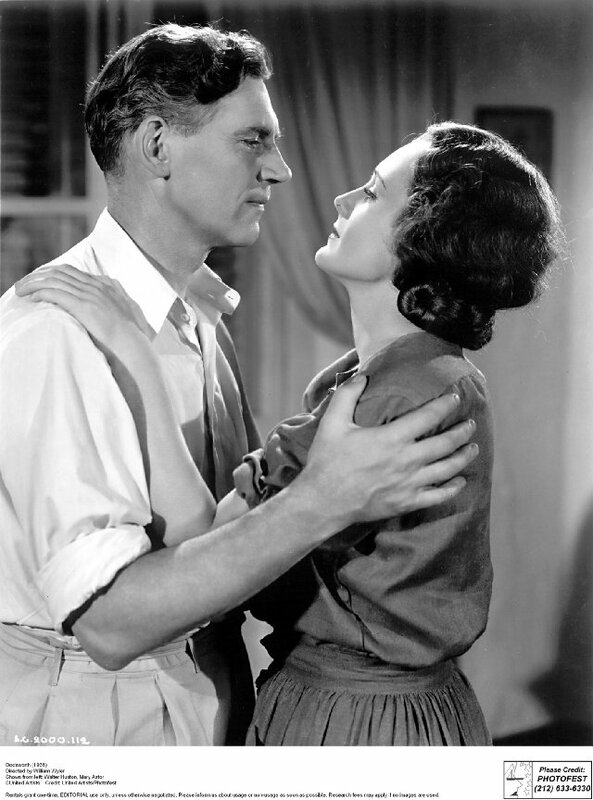 Mrs. Cortright (as she's known in the film rather formally) first meets Sam Dodsworth (Walter Huston), retired automobile titan, on the Queen Mary. 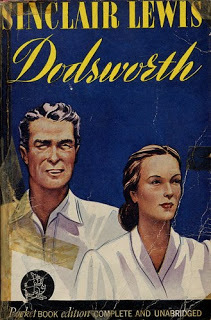 Dodsworth is traveling with his wife on a sort of second honeymoon - at her insistence - sailing to Europe in search of relaxation and something new and - in his wife's case - exciting. Sam says goodbye to his kingdom. In truth, Sam (a self-made man) is plenty satisfied with their life back in the good old comfortably familiar Midwest where he'd built an automobile company from scratch. While that 'scratching' was going on, his wife Fran had busied herself with the sort of typical small town duties which (unknown to Sam) bored her to death. She is the sort of woman who feels much put upon by a comfortable life - she wants Excitement. What's more, she feels entitled to that excitement - small town life can be oh-so-stifling, especially for a would-be woman of the world. Fran sees Sam's retirement (he's sold the company to a large conglomerate for big bucks) as her opportunity to 'begin to live' the kind of life to which she would like to become accustomed. Desperate to hang on to her youth, she pretends to be thirty five again (though she has a married daughter), fooling no one but herself. She never seems to tire of reminding Sam how he robbed the cradle when he married her. From the very beginning we see Fran's restlessness, her impatience with Sam's 'homey' values, his happy complacency. He adores her, but that's not enough for Fran, she considers Sam's devotion her due. Ruth Chatterton is excellent playing a woman who craves a second chance at romance and excitement, as if life can be made to order. She fancies herself a sophisticate while wrongly viewing her husband as a 'rustic' bumpkin - a part he is not embarrassed to play. He is who he is and makes no pretense. The fact that he is simply charming in his Midwestern rusticity escapes Fran. I am happy that they did not cast a Hollywood-handsome icon in the role of Sam Dodsworth. Huston is tall, lanky and raw-boned, completely believable as an unsophisticated Midwesterner willing to oblige his wife's silly attempts at rejuvenation. He delights in her 'girlishness'. 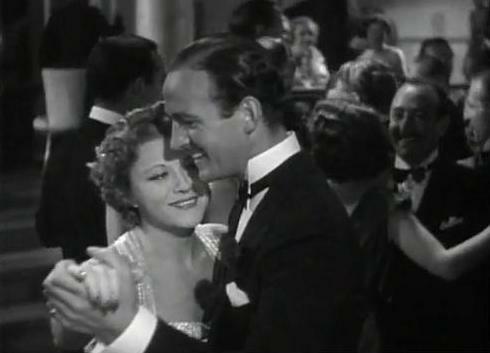 Fran and dashing shipboard beau (David Niven) dancing the night away. On board ship, Fran has already indulged in a flirtation with a young and rather callow David Niven who remarks, impertinently, that she is not as sophisticated as she would like to believe. See what a fuss she makes when he attempts to kiss her. He raises an eyebrow and puts Fran in her place. It's only a kiss, my dear - grow up. 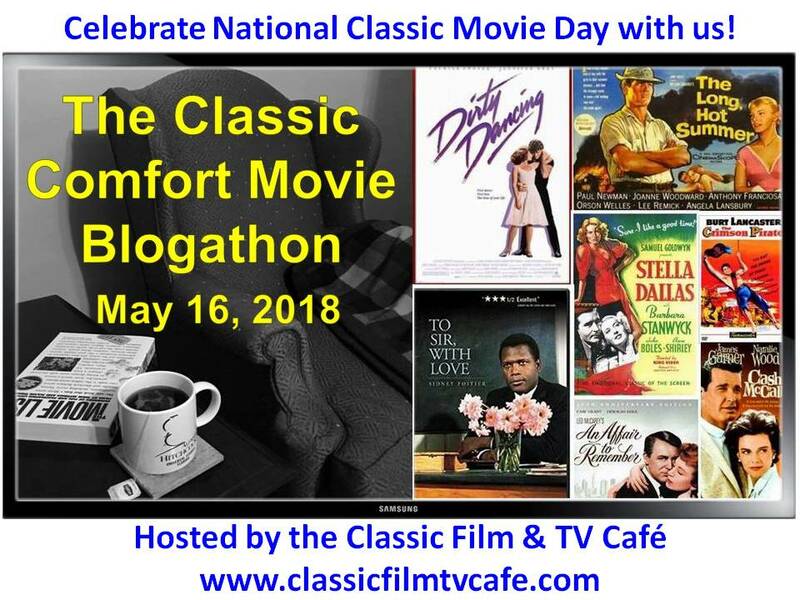 Chagrined and humiliated, Fran decides to indulge a more dangerous infatuation with experienced roue Arnold Iselin (Paul Lukas) whom she meets while lunching one day in Paris with an acquaintance. (The acquaintance fosters the introduction.) Iselin is a smarmy predator who has no qualms about making Fran his latest conquest. A 'real' sophisticate would see through him in ten seconds, but poor Fran, alas, makes the mistake of thinking herself irresistible. Through glances and body language, we are meant to understand that Fran is indulging in much more than mere flirtation with Iselin. Sam realizes the truth but believes Fran will return to him once she's outgrown her infatuation. In his eyes, she is still the same spoiled, charming girl he married twenty years before even if occasionally she tries his patience. A triangle. Perhaps not so eternal. But Fran (apres Iselin) is not ready to return home. She has more fish to fry. When she fancies herself in love ('real' love this time) with a younger man (she has apparently pulled the wool over his eyes about her age) she asks an astonished Sam for a divorce. She has marriage plans. Don't be difficult Sam, be happy for me. "Could you let yourself enjoy life for awhile?" On his own in Europe (still hoping Fran will change her mind), Sam re-connects with Mrs. Cortright when they run into each other in Italy at an American Express office. Impulsively she invites him to her home. Once Sam sees the comfortable way of life Mrs. Outright has established (she has a dog! ), he is intrigued. She makes him believe that he too can rest, relax and perhaps let go of the past. She wisely makes a quiet, carefree haven for him. Mrs. Cortright is the antithesis of Sam's wife. She embodies the kind of life that Fran, in all her sophisticated pretense, would never know how to deal with. She is a grown woman capable of grown-up love. In the meantime, Fran plans her marriage to a certain Baron Von Obersdorf (think of it, a 'girl' of 35 from the Midwest, landing a Baron), a rather vapid young man dominated by his formidable mother (or maybe grandmother). 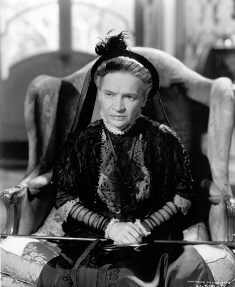 The Baroness Von Obersdorf is played by the one and only Maria Ouspenskaya (in an Oscar nominated role). Remember her as the old gypsy woman in Lon Chaney Jr.'s THE WOLF MAN? She was a remarkable screen presence. Once the Baroness meets Fran, the knowing old lady puts the kibosh on the nuptials. My dear, it would never do. The Baron must have children. Thinking herself heartbroken, Fran decides to head home. In truth I don't think she's learned anything at all. She imperiously recalls Sam from his seaside tryst and he, like a lamb to the slaughter, says goodbye to Mrs. Cortright and prepares to follow his unhappy wife home. Mary Astor's natural 'coolness' works well for her here, because it is obviously masking hidden depths. She is 'settled' in her life alone, perhaps wary of men, but Sam has somehow won her over. He can be himself with her, not having to mind his ways or be afraid he might embarrass her. He is delightful. 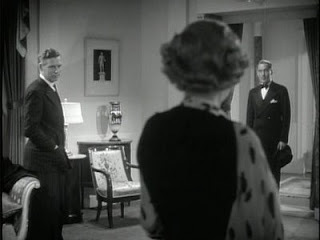 You can see why she would fall for this lanky guy whose manners border on the gauche. But she knows that Sam hasn't completely broken free from the hold his ex-wife exerts over him. The end I leave to your imagination in case you haven't seen the film yet. And if you haven't, what the heck are you waiting for? 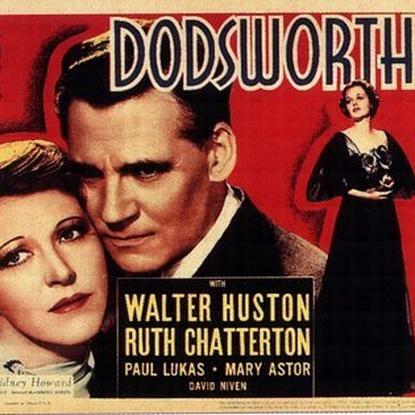 I urge you to see DODSWORTH, it is simply, memorably wonderful. Unfortunately Netflix doesn't have the film in any form yet. You have to go on the 'save' queue. And it's only available on youtube in parts. Check with your library or else you may have to buy the DVD. It's well worth the money. That was the same old woman from THE WOLF MAN? Didn't know that. You went into more detail about the nuances of Sam and Fran's relationship than I did in my post on DODSWORTH, and I appreciate that. The more I think about Fran, whom I didn't like at first, the more I wonder about her life prior to the beginning of the movie: what expectations she had about marriage in general, and marriage to Sam in specific. This would never work as a modern-day movie because the prescribed role of women in the 30s was so different from that of today, and I suspect that that's what Fran is truly railing against. 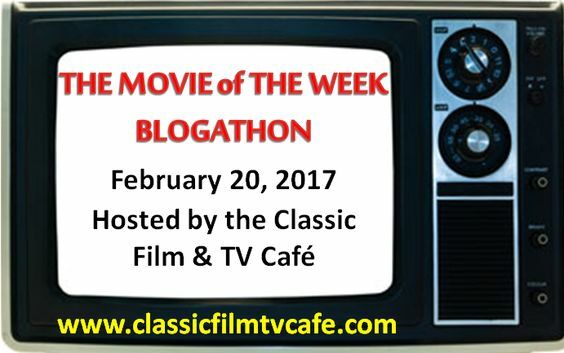 You realize this is the second time we've written about the same movie in a blogathon? I regret I've never read the book, but your post makes me want to chase it down. A great review of this beloved film, where Astor really shines. "Dodsworth" stays with you, doesn't it? Real emotions do that. One for the ages. The same one, Rich. I have to admit I quite liked her in whatever movie she appeared in. Very enigmatic personality. My view of Fran - she's a completely self-centered woman who can never be satisfied. When a woman like that becomes bored - watch out. And I believe the boredom in her life began building rather early. 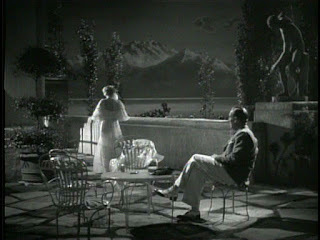 Whatever expectations she may have had about marriage in general or marriage to Sam were probably based on fairy tales. I do wonder if she married Sam in order to get out of another situation. I can't remember if the book spends any time on her early life. I may have to reread. Thanks, Jacqueline. I do love this film. Oh, you must read the book. Please do. It's well worth looking for. I can lend you my copy if you can't find your own. Oh I so agree, CW. 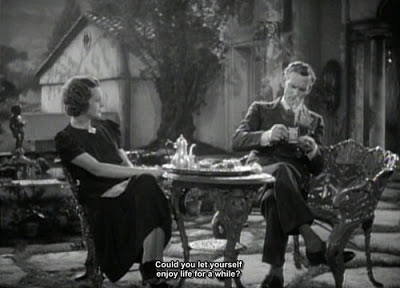 DODSWORTH is such a keeper. Thanks to our Mary Astor Blogathon, we've got our choice of DODSWORTH blog posts! I've already applauded our pal Rich Watson's excellent take on the film, so Yvette, now it's your time to shine! You really did a wonderful job of getting under the skin of the characters. The whole cast is great (I didn't realize that was Maria Ouspenskaya, either! ), including your comments, captions, and screen-grabs. I especially enjoyed: "Stop encouraging her, Sam." I admit I've never had the opportunity to sit down and watch it from start to finish (though sometimes it turns up on TCM); I've only read synopses and reviews. 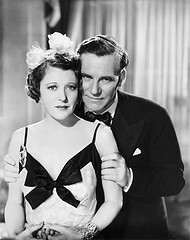 But now I'll keep my eyes peeled for DODSWORTH, with our gal Mary at her best! 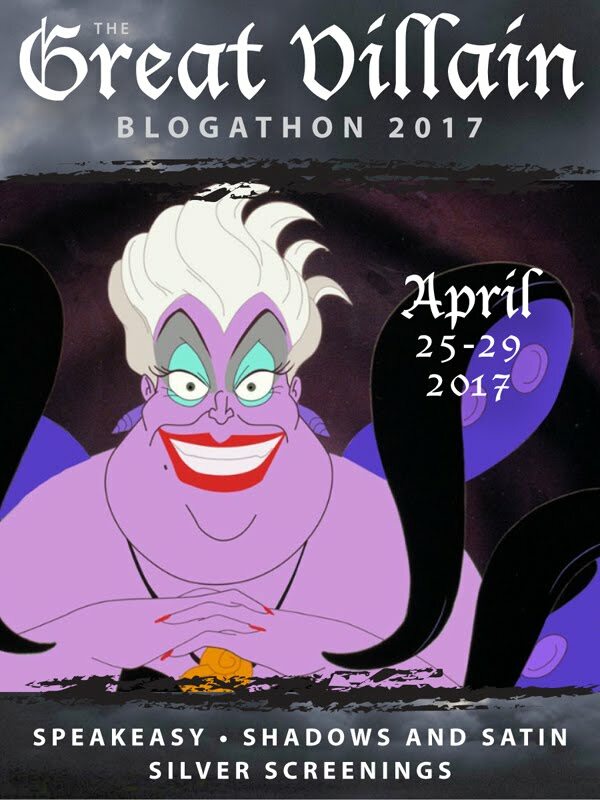 Thanks for being a pal and for being a swell part of our Blogathon! Great review Yvette! I'm off to see if netflix has this movie and add Sinclair Lewis to my must read list! I read Rich's post too and left a comment. Isn't there a third DODSWORTH post coming up? Dorian you definitely need to see this movie. Everything about it is superb. The book is wonderful Peggy Ann. Sinclair Lewis is currently one of our most overlooked writers. Excellent analysis of this thought-provoking film. I'm another one who hasn't read the book, so I'll check for it at our library. In a way, it's too bad that Astor didn't have a larger role in this film, but it likely would have interfered with the storyline. However, she is fab in this movie, as you've pointed out. 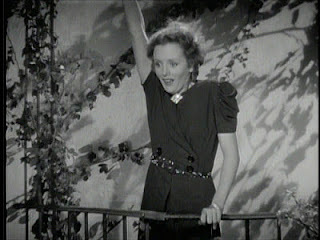 Perhaps Mary Astor's role could have been enlarged the tiniest bit. But only just. I think basically it is just right. Thanks for the excellent examination of this film! I've really been enjoying all the different interpretations on the film. Oh, and thanks for the picture selection! I read your review with great pleasure, but only up to the halfway mark to avoid spoilers as I've not got the book and have yet to see the movie - but consider me completely sold on it now and will definitely get hold of the DVD one way or another - thanks Yvette, sounds great. Thanks, Gwen and you're welcome. It's always fun to write about a favorite film. It's such a wonderful film. The book is terrific too. Yvette, I beginning to think that you could watch a movie I loathed, write a review, induce me to re-watch it, and probably find something to love about it! This kind of move is really not my style, but with your enthusiam brimming over in every paragraph I could easily add it to my Netflix queue in the coming weeks. Loved this post. I did exactly what Sergio did! I stopped towards the end becasue I was so involved yet I want to discover rest of the movie on my own. 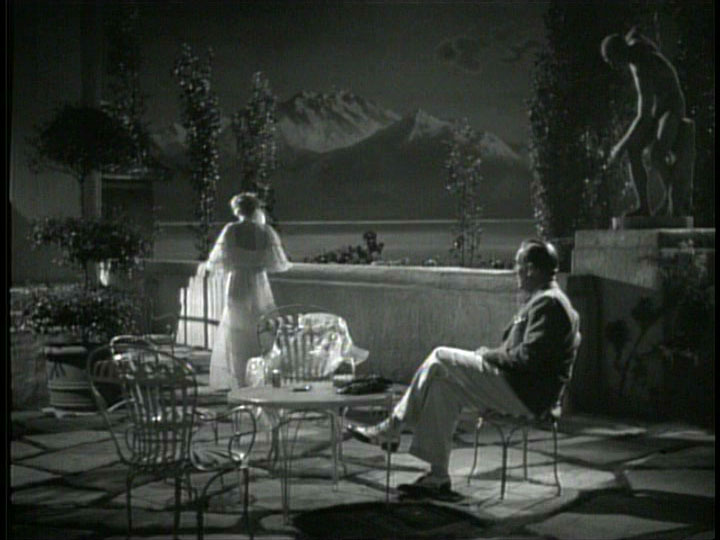 BTW, that hotel balcony shot at the midway of the post (even with the rather obvious painted backdrop) is stunning. This is a wonderful film and your enthusiasm for it really comes across in your posting - great stuff! You also have me thinking that I must read the book as soon as possible. The movie is only on the 'save' queue at Netflix, but if enough of us sign up, then maybe they'll rush the acquisition through. I think I'm going to buy the thing even if it is a little pricey at the moment. The book is wonderful. Wait, didn't I already say that? Yup. I agree that your post makes me want to read the novel. I have unanswered questions about everyone that I would love to see examined in more depth. 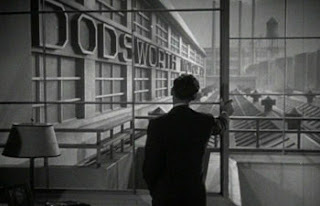 Thanks for the inspiration, and a great post on a film I truly love. 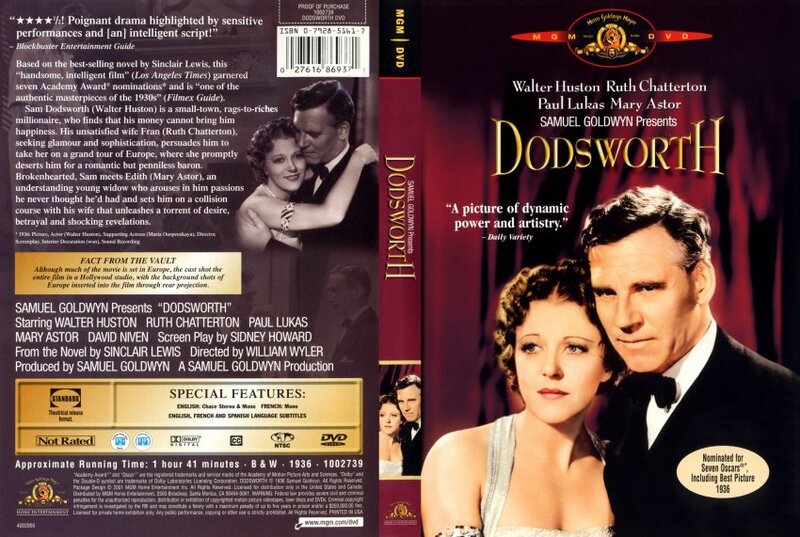 I've really enjoyed reading the different takes on Dodsworth. I am so hlad you mentioned the book, I was wondering how true the film was to the novel. Lasso the Movies: Thanks. I hope you will read the book. It's even better than I thought it would be. I waited many years to read it and now I'm wondering why. I loved it. And of course, the movie is one of my favorites as well. Jenna, the book really was well adapted. But I highly recommend the book if you want to know more about the characters. It's especially good at describing what Sam makes of his wife and her behavior.